G.O.Ms.No. 147, Dated: 12-10-2017 :: GOVERNMENT OF TELANGANA, FINANCE (HRM-II) DEPARTMENT :: Tribal Welfare Department - Sanction of Teaching and Non-teaching Posts in the newly sanctioned (22) TTWR Degree Colleges in Telangana State and in the O/o. 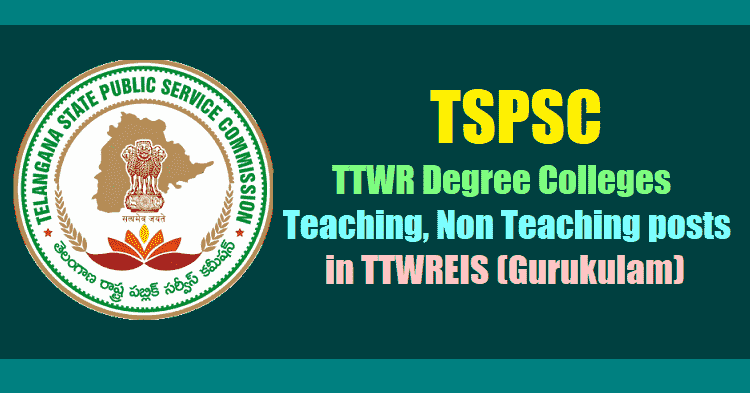 the Secretary, TTWREIS (Gurukulam), Hyderabad - Orders - Issued. 1. G.O.MNo.40, Tribal Welfare (Bud&Edn) Dept., Dt.06.07.2017. 2. Tribal Welfare (Bu&Edn) Dept., U.O.Note No.2709/TW.Bud.Edn.A1/2017, dated.10.10.2017. In the reference 1st read above, Government accorded administrative sanction for opening of new (22) TTWR Degree Colleges in Telangana State from the Academic Year 2017-18 in Telangana State. 5. The Tribal Welfare Department is requested to take necessary further action in the matter accordingly.